Everyone’s favorite ogre is back in the hilarious stage spectacle based on the Oscar-winning, smash hit film. al” opening Friday, August 3rd at 7:30 p.m. The show runs Fridays and Saturdays at 7:30 p.m. and Sundays at 2 p.m. through August 26th. The musical is generously underwritten by The Opera House Guild. 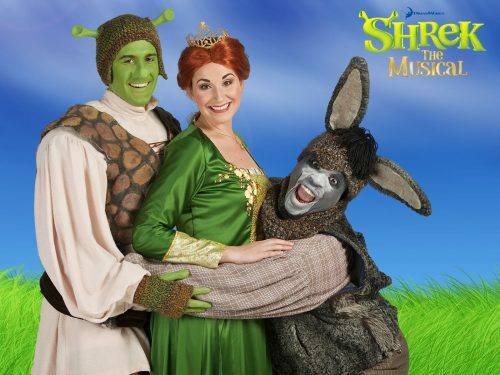 Based on the Oscar-winning DreamWorks Animation film, “Shrek the Musical” is a Tony Award-winning fairy tale adventure, featuring all new songs from Jeanine Tesori (“Thoroughly Modern Millie”; “Caroline, or Change”) and a sidesplitting book by David Lindsay-Abaire. 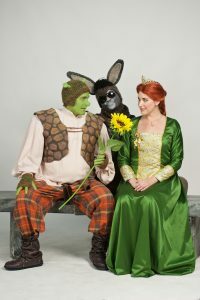 “Shrek” brings all the beloved characters you know from the film to life on stage and proves there’s more to the story than meets the ears. This production is recommended for audiences ages 8 and up. Reserved seats are $25 for adults, $23 for seniors 62+, and $12 for children 17 and under. Balcony tickets are $15 for adults and $7 for children. Flex Pass specials and group rates are available.